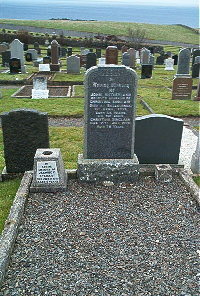 John Sutherland died at Ballachrick 1st April 1953 aged 65. Wife Christina Sinclair died 21st July 1979 aged 78. Jasmine F Stewart died July 25th 1959 aged 6.